With over 200 acres, 7,000 sq. feet of meeting space, lodging and more, the Abbey can play host to any important occasion. 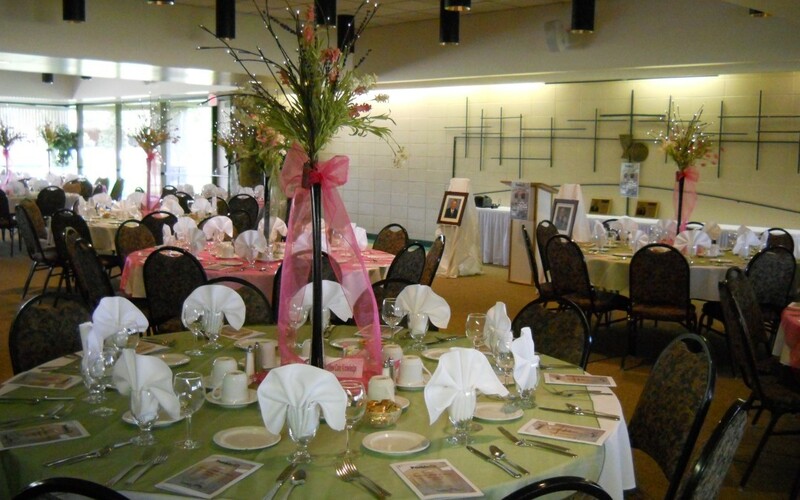 From receptions to multi-day conferences, we have rooms that will accommodate any size guest list and event variety. The Event Center is a modern building on an historic campus that was originally used as the dining rooms for the Abbey School. Today it is a full service event center with three meeting spaces. The Abbey provides flexible space to accommodate any style event you may be planning—from conferences, meetings, training sessions and retreats to banquets, reunions & weddings, all with complimentary parking for your guests. This multi-usage, full service center also provides on-site catering. We offer a professional serving staff, talented chef, full service bar, dance floor and a wide variety of menu options. What ever the size of your group from 10 to 300 we can accommodate you! Our mission is to make your event a success in every way! Three banquet rooms: The Benedict Room, the Abbots Room and the Café. Each can be set up to fit the needs of your group.